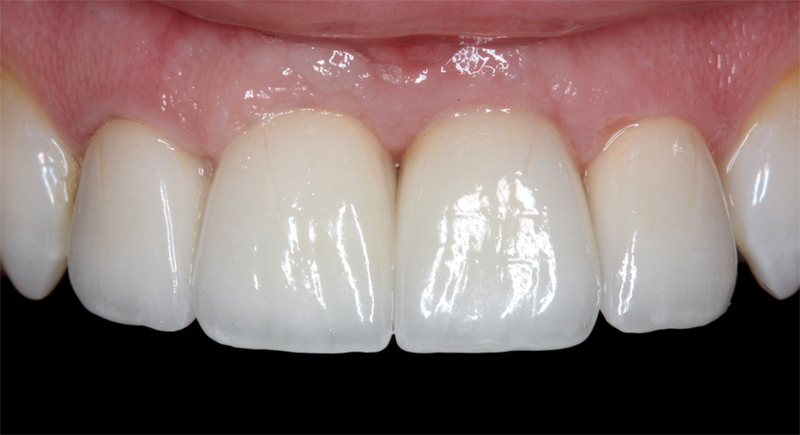 One of the more challenging aspects of implant dentistry is the ability to restore multiple adjacent teeth; especially when it comes to restorations in the anterior esthetic zone. Here, factors are more critical when positioning the depth and location of the implant as well as their proximity to each other and adjacent teeth. A surgical guide is always recommended. The pre-surgical conditions need to be evaluated, such as quantity and quality of bone and soft tissue. The adjacent interproximal bone levels are a good reference to where the bone levels will stabilize after an extraction. 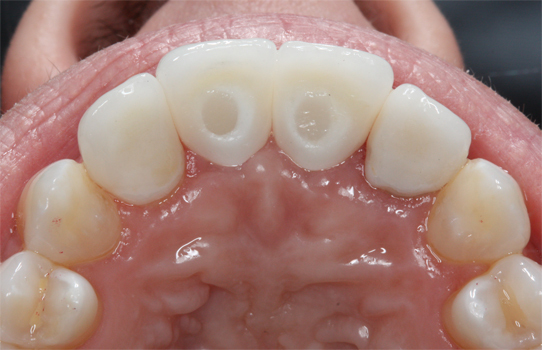 If teeth have been missing for a long period of time, the interproximal bone most likely has resorbed flat, making it more difficult to recreate the appearance of a papilla. Therefore, it is always more favorable to place implants immediately after an extraction if possible. 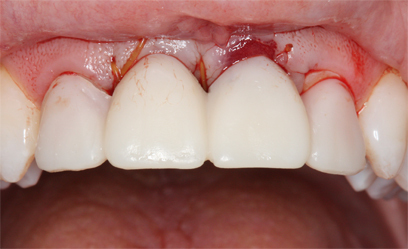 In addition, a restoration placed immediately on top of a implant can support the interproximal tissue from colapsing. However, in our case we decided to not risk loading the implants since a fixed provional was possible and the occlusion was tight. If there is any indication that insufficient bone is present, implant placement should be delayed until adequate grafting is complete. Your overall success esthetically and functionally depend heavily on a proper foundation for your restoration. 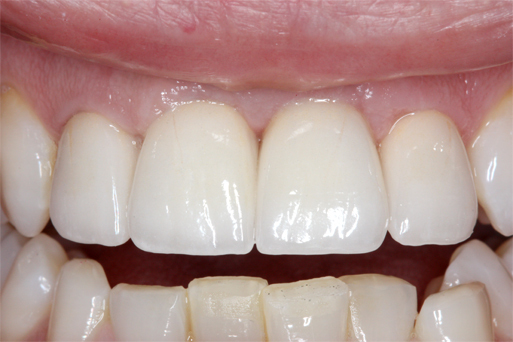 When a patient has thin gingival tissues, it is more difficult to recreate the scalloping appearance of papilla in between two implants. One way to improve this is to develop temporary crowns to train and contour the tissue or create the illusion of a long contact point. 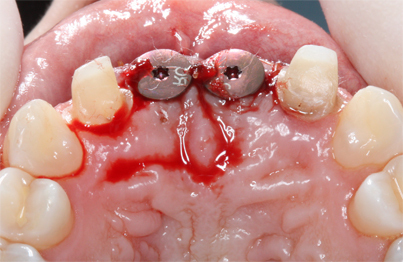 CASE I: The patient currently is wearing a four unit bridge on her upper front teeth #7-10 which were lost due to trauma. She is currently unhappy with the appearance and shade. The bridge was removed and two Straumann Bone-level implants were placed using a duplicate of her provisional as the surgical guide. 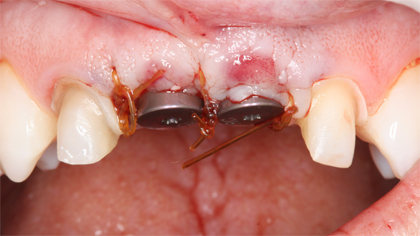 A fixed provisional was relieved around the implants during the inital healing phase( 4-6months). 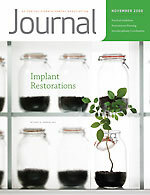 Once the implants were fully integrated, provisional restorations were made to manipulate the tissue to proper contour. 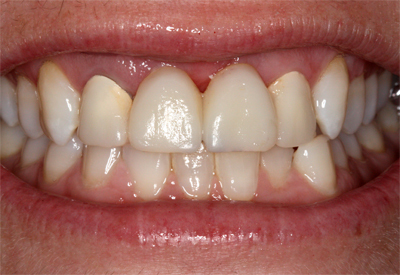 A diode laser was used to modify the zenith point/gingival esthetics. After a few weeks, a PVS impression of the provisional restoration contours was used to make duplicate custom impression copings. This allowed a more predictable final restoration. The final restorations were delivered. 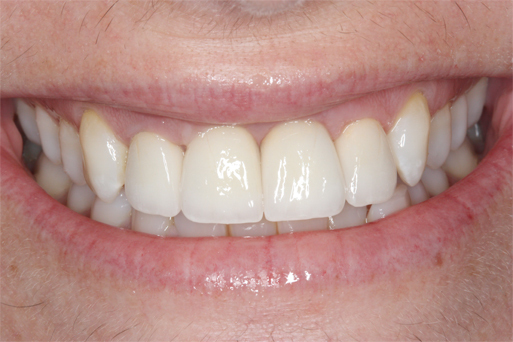 The laterals were zirconia crowns layered with facial porcelain. 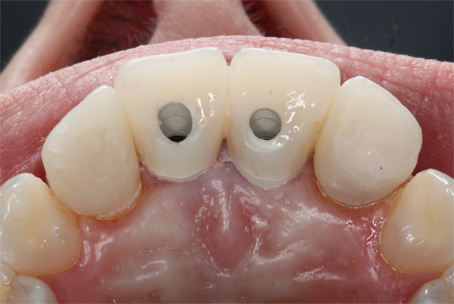 The two centrals were one piece screw-retained Atlantis zirconia abutments layered with facial porcelain. Welcome to the exciting world of dentistry! Here we’ll share new ideas, developments in the dental field, showcase some amazing cases and answering any questions regarding teeth. As prosthodontic specialists here in San Diego, we focus on restoring advanced cases in the field of implant and cosmetic dentistry. 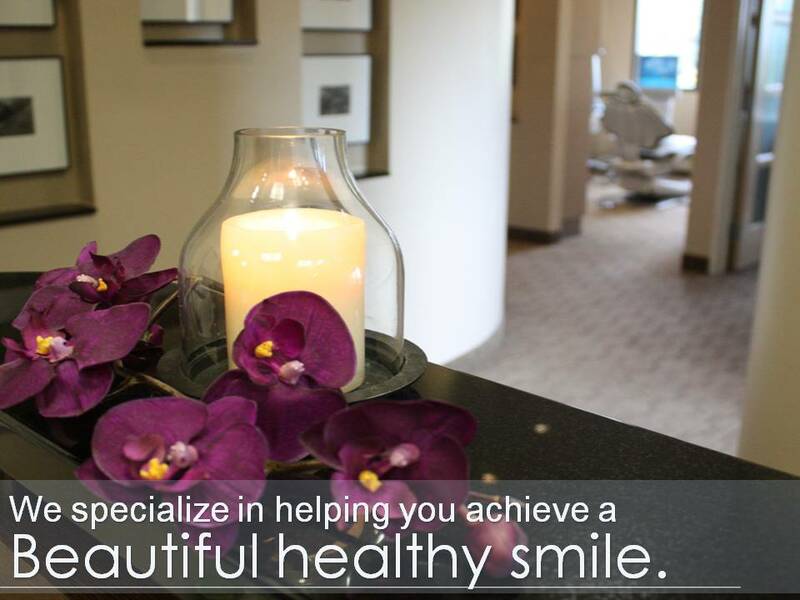 Our core beliefs lie in quality restorations, that are predictable, functional and esthetic. Dentistry today, is definitely not what it was 10 years ago. Advancements in technology, implants and esthetic materials have allowed dentists to provide patients with results that exhibit strength predictability and beauty. 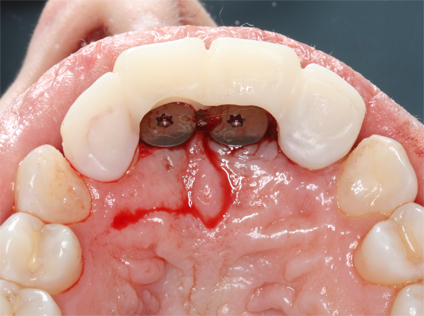 We hope to share some of these exciting concepts from a Prosthodontist’s perspective and enlighten our readers.